The Dallastown doubles team of Tyler Lilie and Logan Maddox pulled off the biggest surprise of the day on Monday during the York-Adams League Boys’ Doubles Tennis Tournament. Lilie and Maddox upset the second-seeded team of South Western’s Gavin Kenny and Vince Guy in the Class 3-A quarterfinals at Red Lion High School, 7-6 (7), 6-3. 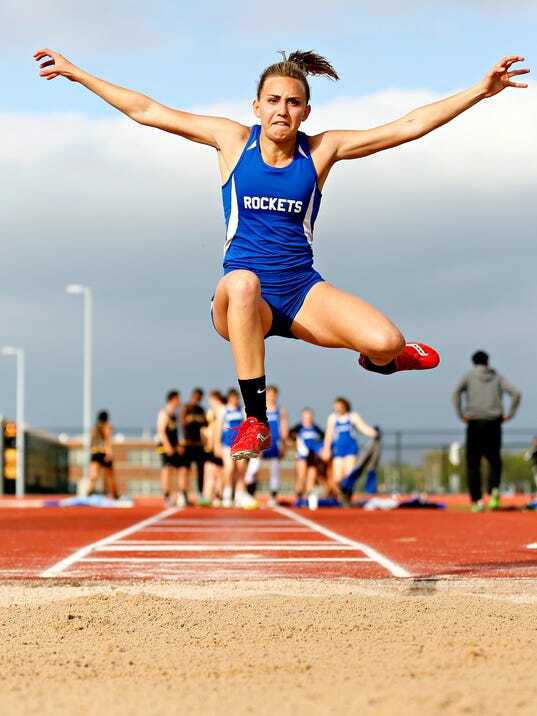 SPRING GROVE — As she stood on the track following the final home meet of her career, Spring Grove’s Zoe Stauffer recalled some special times. GETTYSBURG — The 3,200 relay was just the first track event of the day, but both coaches agreed it played a key role in the final outcome. By securing first in the relay, Gettysburg got the boost it was looking for, and the Warriors went on to score an 83-67 victory over York Suburban in a match-up of two previously unbeaten boys’ track-and-field teams. The result left Gettysburg as the only boys’ team in York-Adams Division II without a loss. The Warriors have three league meets remaining. A strong performance by Justin Krebs led a large contingent of York County runners who competed in the 2017 Boston Marathon on Monday morning. Krebs, 42, of York, was the top local finisher, crossing the finish line in 2 hours, 44 minutes, 32 seconds, good enough for 313th place overall in a field of more than 30,000 runners. He finished as the 286th male, was 33rd in his age division and had the seventh-best finish among all males from Pennsylvania. The York Suburban boys’ and girls’ track teams each picked up key wins in the York-Adams League Division II race, sweeping West York on Thursday afternoon. The boys won, 85-65, while the girls cruised to a 102-48 victory. With the win, the Trojan boys improved to 4-0 in Division II and are now alone in first, while the girls improved to 3-1 in Division II. The powerhouse Dallastown High School boys’ tennis team has added another championship to its storied history. In a battle of York-Adams Division I unbeatens, the Wildcats cruised to a 5-0 victory at South Western on Wednesday. RED LION — The turning point in the Red Lion-Central York girls’ track-and-field meet came in an event that the Lady Lions’ coach didn’t think his team was going to win. “I had us getting one point (in the 400). Instead we got a first and a third,” coach Jason Smith said after his team edged Central, 76-74, in a match-up of two previously unbeaten York-Adams Division I teams.